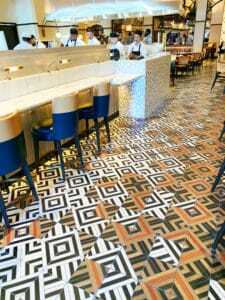 Flays new Shark restaurant is a huge part of the The Palms impressive make-over. 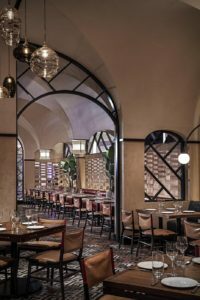 The Station Casinos’ principals Frank and Lorenzo Fertitta, have taken a hands-on approach to the resort’s $690 million renovation. Look no further than “Shark” to see what we mean. 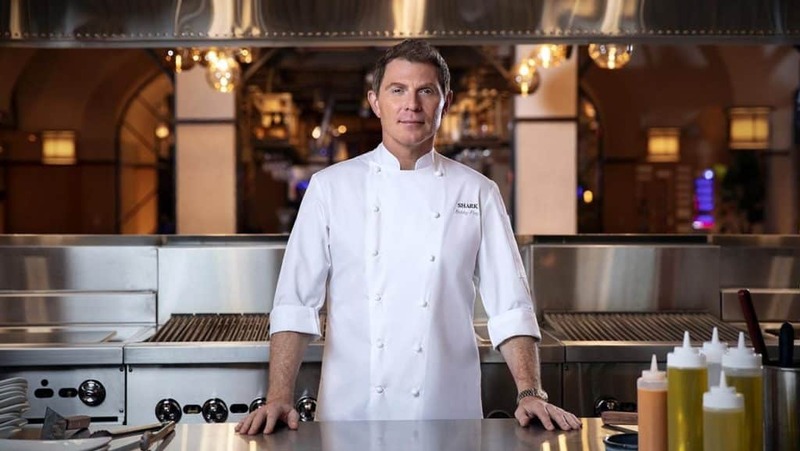 The legendary super-chef Bobby Flay is opening his first new restaurant in five years and as he says, “My first high-end restaurant in 15 years.” Opening on April 1 2019, “Shark” restaurant in the Palms is an all out love letter to all things seafood. “Shark” puts on display Flays commitment to original dishes, flavor and as the name alludes, focuses on seafoods like fresh fish, sushi & ceviche. The theme is based in flavor featuring ingredients from South America, Mexico, and the Mediterranean. 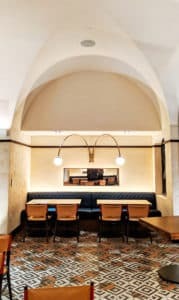 While we all know the food will be the star of the show, the most eye catching feature of the new restaurant is the decor. 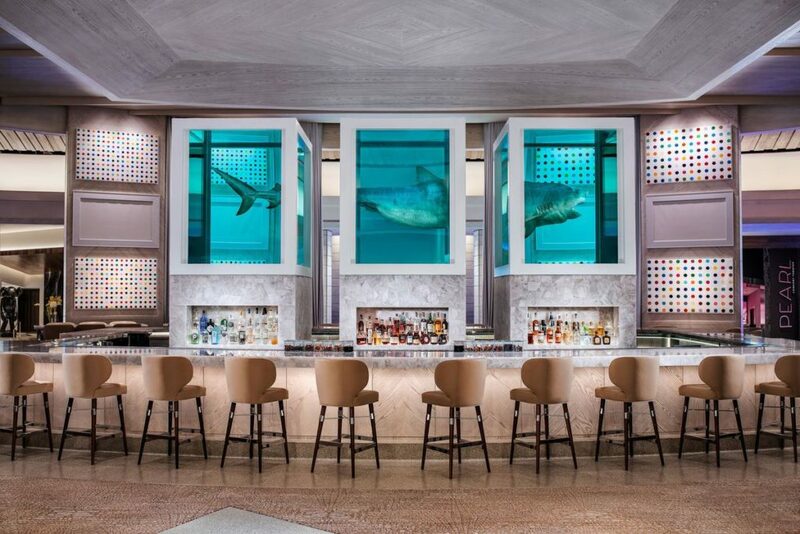 From an actual dissected shark in the lobby bar at the Palms, when one walks into Flays new restaurant they cant help but be mesmerized by the interior design created by the Rockwell Group. 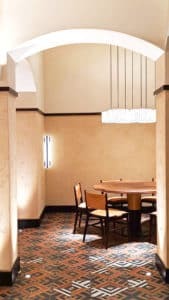 The concept created by David Rockwell & The Rockwell Group is simple, elegant and colorful. 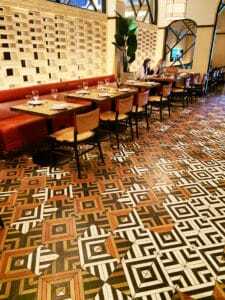 The main dining hall which sits at the entrance to the resort’s new nightclub KAOS and features a patio that overlooks the pool club is lined with colorful tiles and intimate coved booths. 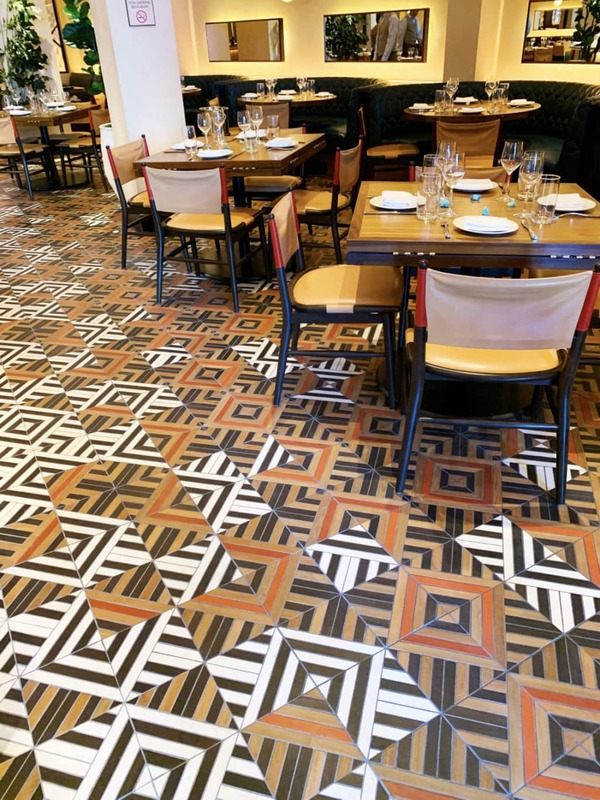 Using beautiful 100% reclaimed teak wood tiles on the main dining hall floor, these custom colored wooden tiles capture the attention and imagination. The hypnotic pattern of the natural teak colors paired with star white, black and red finish lead us into the restaurant. “When I saw the shark, I knew that was going to the name of the restaurant,” says Bobby Flay in reference to the iconic, if not a bit disturbing, art piece by Damien Hirst. The massive shark sculpture called The Unknown (Explored, Explained, Exploded) sits in the lobby and is the inspiration for the restaurants name.